As a believer in the eventual restoration of all, I am occasionally asked what I would say to an unbeliever on his death bed. When your time comes to leave this planet, your first conscious appointment will be with God. 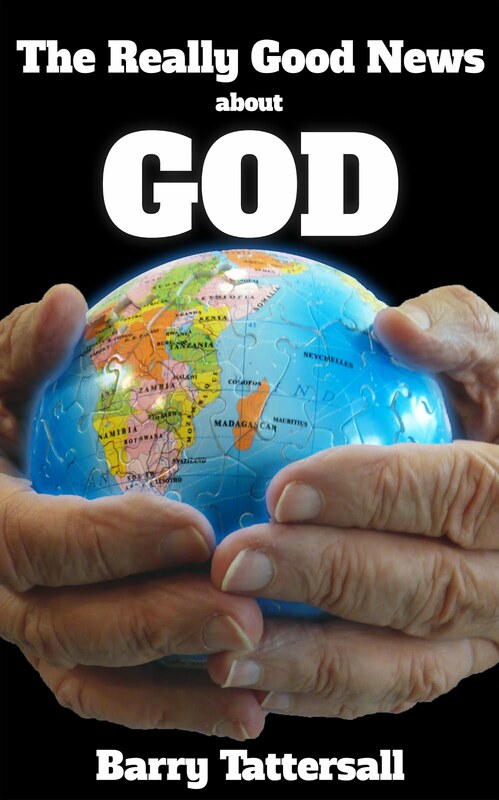 This will be a huge event, because God is awesome - the Creator and Saviour of the world. God loves you very much and holds absolutely nothing against you, no matter what you've done. Indeed he is waiting for you as any loving and concerned father waits for his lost son to return home. Jesus explained this in his story of the Prodigal Son. The father offers no judgement, no paying off the debt, no penalty, only full acceptance, wild celebration and reinstatement into the family. God does this for you too, because of what Jesus has done for all of us. Explain Jesus' Birth, Death and Resurrection. Everyone's sins have been dealt with and everyone will live, eventually. Isn't that just good news? his desire to return home and be reconciled to his father. The father had already forgiven the son and was reconciled to him, even before the son had started heading for home. But the father couldn't show him his love until the son had decided to return. It was all up to the son. So it's up to you how you meet God. As someone with a bad attitude to God and fearful of meeting up with him. As someone confident and appreciative of God's love, forgiveness and full acceptance? Yes, you can turn for home like the Prodigal did, and be reconciled to your Father. And live happily and in harmony with him forever. We will all get to that point eventually, one way or the other. But the sooner we do, the easier it is; and the sooner that life can begin. In fact, if we become reconciled to God before we leave this planet, we can start that life straight away. That's what God calls the good news. Jesus has done everything that needs to be done for you and me to live in harmony with God forever. God is already on your side. We just need to get on his side to get the full benefit of what Jesus has done for us. What would you like to do now that you know all this? Here's a simpler, more concise version I might use when time is short. Most people think that God is angry with them because of their sins. Actually it's the other way around. God is in love with them and they are angry with God. The message of the Bible is that God is waiting for us to be at peace with him. He has done everything to make sure there is nothing between us and him, from his side, through Jesus Christ. God asks us to believe him in this, to admit our mistakes and selfish attitude, and to genuinely desire reconciliation. Which means to drop whatever we hold between us and him, to be at peace with him, and to thank him for his generous invitation to live in harmony with him. I am visiting an unbeliever on his death bed right at the moment, and asking God for the opportunity to share the gospel, and would love to have your feedback on the above. Here's a simpler (non-sermony) version. The message of the Bible is that God is pleading with us to be at peace with him. God loves us and is on our side. He has done everything to make sure there is nothing between us and him, from his side, through Jesus Christ. God asks us to believe him in this and to live in a way that shows we do. Which means to drop whatever we have between us and him, to be at peace with him and to thank him for his generous invitation to live in harmony with him. Hopefully this simpler version will be enough to get their attention so that they ask the questions necessary to fill out the story. HI Barry, I'm not so sure God is pleading with us to be at peace with him. That may be a somewhat Arminian take on the matter. I've always seen in scripture that when God draws/calls us, there is nothing to stop him, and he doesn't need to plead (Jn 6:44). How this relates to the unbeliever who is dying will be a function of what you are led to do with the matter. I'm sure that if the Lord wants him saved in this age, it will happen. Thanks for your comments, with which I heartily agree. I guess I was a bit heavy handed with "God is pleading" especially considering John 6 : 44 and the fact of God's sovereignty in all things. I was paraphrasing 2 Corinthians 5 : 20, which gave me that thought. and supported by God's recorded desire that all will be saved. How can we 'mix and match' these verses to produce a Biblical viewpoint ? Thank you SO much for what you've shared. I'm going to see my uncle at the ER today and am going to share the good news of God with him. I would so appreciate prayers because my uncle is an alcoholic/drug addict and is very angry and resenting towards God. Thank you for your guidance on this page! I will be praying for you and for your uncle. I recently got a FB request from a cousin whose in the Philippines for me to help proclaim God's Good News to his dying Aunt whom I do not know. I have not had any previous experience with this scenario but I promised him I would visit. I suppose it is easier to tell someone about God's salvation plan who is not a relative... please pray for me that I will have the courage and that God puts His Words in my mouth when that time comes. I pray that you are doing well, your last post was 8 months ago now. Take care and may the Almighty God be with you always. I will be honoured to pray for you as you visit your cousin's aunt. Your task is a simple one, yet most of us find it very challenging. Since you are on God's mission, just relax and let the Spirit guide you. I am doing well thank you, but have been distracted with health issues in two of my son's families. Should be back to more regular posting very soon. I am sitting with my precious grandfather, who is dying. Sharing the gospel has been hard due to his belief that he has done enough good things to get into heaven AND due to my own fear of driving him further away by refuting this way of thought. Thank you for sharing your approach...I will read some of it today to him. I am praying he will respond to God's Spirit as you do.